On February 11, 1999, his incredible smile entered the world. On Wednesday, March 27th, 2019 it vanished peacefully in his sleep. Those fortunate enough to know Ethan were so much the better for it. He was such a kind, selfless soul, with a great sense of humor. Ethan left this world suddenly, but not before making a lasting impression on everyone and anything he was involved in. Ethan was in his sophomore year at York College of Pennsylvania and was a member of the men’s Cross Country, and Track & Field teams. Ethan ran all three seasons with the Spartans and saw his team win the CAC Cross Country Championship. His favorite events were the 4 x 400 M and the 800 M . When not running with the track team, Ethan studied Supply Chain Operations Management and thoroughly enjoyed college life with his friends. 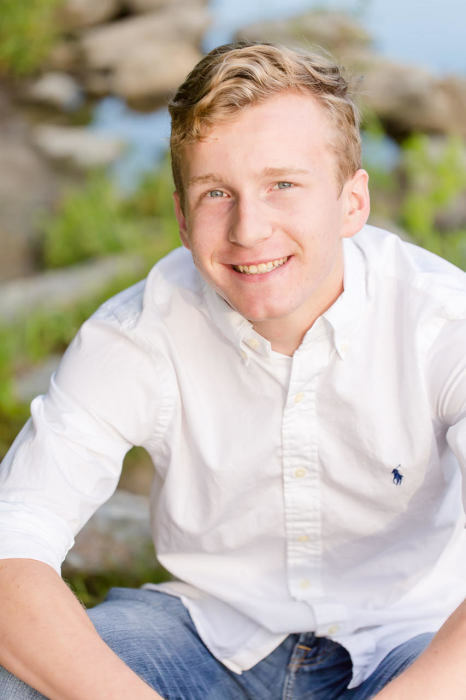 Ethan was born and raised in Maryland and attended Howard High School in Ellicott City. Knowing Ethan meant knowing his infectious smile, his jokes and his indelible character. His passions included running, skiing, playing video games, watching movies and he was alway a well dressed gentleman. Ethan is survived by his best friend and sister Emma Jane Williamson, his father Matthew Francis Williamson and mother Caroline Beatson Zorc. Their respective others, Adriane Lorraine Morrow and Anthony Moses Zorc. His step-sisters Miriam Alexandra Zorc and Isabella Lily Zorc. And finally his grandparents, and many aunts, uncles, cousins, and friends that were family. A Memorial Service will be held at 5:00 pm on Friday, April 5 at Grace Community Church. A Celebration of Life will follow in the church atrium. All are welcome to attend one or both events. Please consider wearing something colorful with your funeral attire, to honor Ethan's love of color. The family asks that no flower arrangements with lilies or high scented flowers be sent. Thank you.